Millions of mobile users could potentially be customers by having the right mobile technology in place. It is expected that smartphone users worldwide will total 1.75 billion this year. The invasion of mobile devices in the market has compelled businesses to think of newer and better strategies to approach their target audience. A hot debate on mobile websites versus a native app is in progress on all technology related platforms. Businesspersons can rest assured that the outcome of these debates will only be good for them in the end. Mobile websites are specifically designed for mobile users. Businesses have the option of either going for a separate website for mobile devices separate from their desktop sites, or build a responsive website that is optimised for desktop, tablet and mobile usage. In the case of responsive website design, the business will have only one website running across all these devices, whereas a separate mobile website would be in addition to the existing desktop site. A mobile website, however, is easier to use on mobiles and allows a hassle-free, on-the-go experience to mobile users at costs that are lower than the costs of building a native app. The best thing about mobile websites is that it provides a better user experience as compared to what viewing a desktop website on mobile. The navigation is kept simple for mobile users and they don't have to scroll too much or zoom in to click through links on the website. This website is more searchable on the internet since it is given a better ranking by search engines. However, responsive or mobile websites need constant maintenance as well. Designing a responsive website needs tremendous skills and a poorly done website might not perform as expected. Responsive websites can't offer the personalization a native application does. A native app is installed on mobile devices and is a solution that is designed as an isolated project from your business website. It will require a team of professional developers, programmers and testers to start it from scratch and maintain it after its completion. The mobile user doesn't have to access the internet through a browser to use a native app. The best thing about native apps is that they are much faster than mobile websites and can provide a personalized experience far better than mobile websites as well. 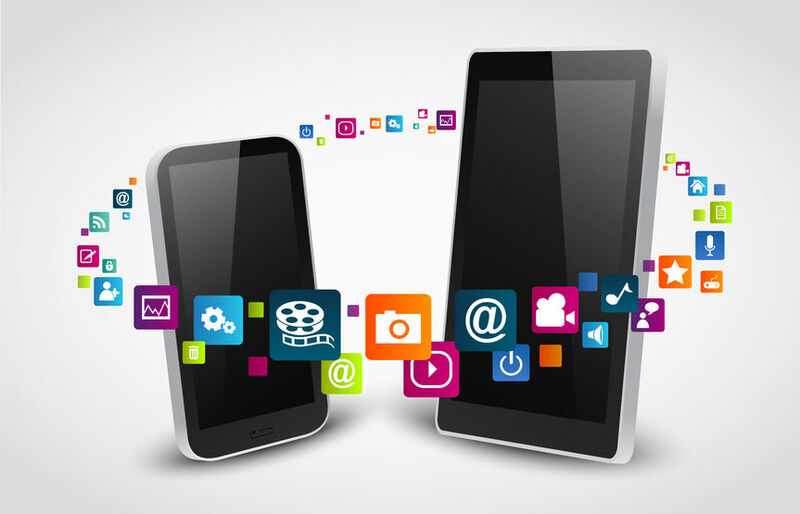 A native mobile application is installed on the mobile and thus it can collect more information from the user than a mobile website, therefore creating a more personalized experience. Furthermore, if any of the smartphone functionalities are to be used then a native app is the answer. However, native apps require approvals before they can enter the application stores of various operating system providers. They require huge budgets for completion. They don't play any role in making your website searchable or giving it a higher rank on search engine results. Unfortunately, they are not a universal solution. There are pros and cons associated with everything in the world, especially the technology world. An expert would say that you should cover all the areas and build a mobile website as well a native app. However, costs must be kept in mind here. You might need to hire a team of professionals to start working on the application however, if all you need is visitors on your website and a better ranking on search engine, a responsive and mobile website is the answer. Either way, the team at Central Coast Web Design are able to help. Call us 02 4341 3313 or email enquiries@centralcoastwebdesign.com.au today!